The Pakistani-Canadian community to gather at 2017 Pakistan Festival, and everyone's invited. To coincide with Pakistan's independence from Britain, the Canadian-Pakistani community in Vancouver will come together for 2017 Pakistan Festival. 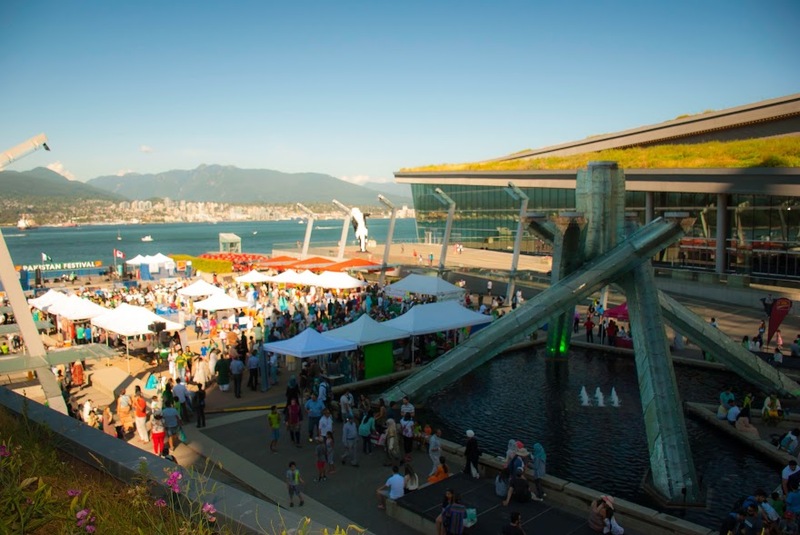 Held at Jack Poole Plaza on August 13, the festival also serves as a way to introduce Pakistan and its culture to Canadians. We are excited to announce the official date and location for this year’s Pakistan Festival. The 2017 Pakistan Festival will be taking place at Jack Poole Plaza on August 13th 2017. August 14, 1947 marks the day when Pakistan was born and entered the world as an independent and sovereign nation. To celebrate this highly significant day the Pakistani-Canadian community decided to organize a "Pakistan Festival" to showcase the cultural heritage, diversity, geography, music, dress, cuisine, customs and traditions of all corners of Pakistan. The importance of this event goes beyond providing a venue for families to meet and have fun; it provides Pakistani-Canadians with a voice and platform to promote understanding amongst other communities and faith groups. It is our hope that through this initiative Canadians of all origins will be able to engage in meaningful dialogue and gain a better understanding of the people of Pakistan while gaining a greater appreciation for the unique culture of Pakistan. Above all, this event provides an opportunity for strengthening friendships and cooperation between those Canadians of Pakistani origin and the greater Canadian community. After the tremendous success of Pakistan Festival 2016, we will be back at the iconic Jack Poole Plaza in downtown Vancouver. Surrounded by the natural beauty of Vancouver's waterfront and mountians, the event promises to offer you and your family a fun filled day.